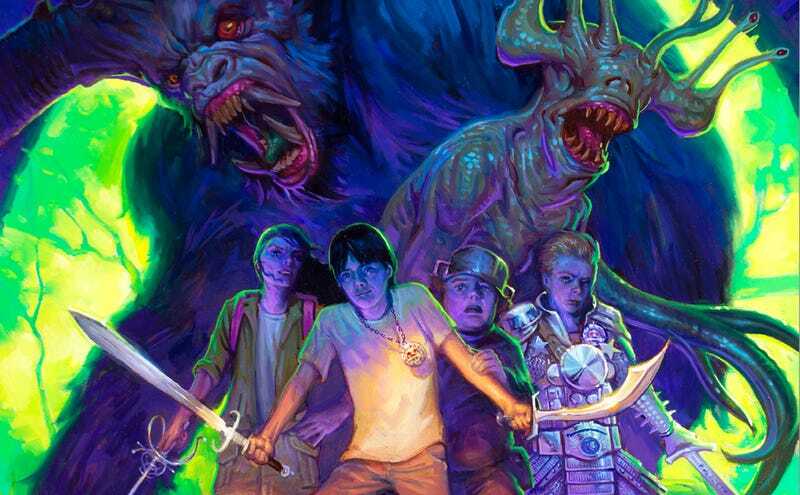 First Look At Guillermo Del Toro's YA Horror Novel, Trollhunters! Are you ready for a children's book about monsters from Guillermo del Toro? Then we've got a nice surprise for you. Check out an exclusive peek at the front cover of del Toro's Trollhunters, which he co-wrote with author Daniel Kraus (Rotters). I wanted very much to develop a story that could be written for kids but dealt with a genre that was scary. It essentially combines fairy tales with modern times and is about how difficult it is to be kid. Normally, kids are idealized in animated films. But the growing pains, married with the notion that there is a world right next to us that is completely plagued by creatures of ancient lore, it's thematically fitting with the rest of my stuff. And here are the front and back covers. The book comes out July 7.